Christchurch has made it on to CNN's list of 19 places to visit this year, and it's the top of the list. The list is alphabetical, but don't let that stop your excitement. The writers of the list are full of glowing praise for Christchurch, saying that "it isn't the natural disaster that defines a city - it's the way they choose to regroup and rebuild". 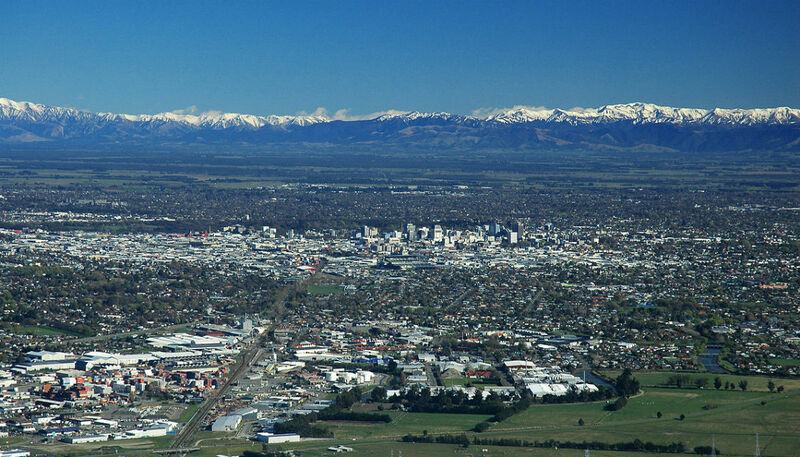 Christchurch's 2011 earthquake was a tragedy that killed 185 people, and destroyed much of the city. But the city is being rebuilt, and CNN says it "feels at once, hopeful and dynamic". "Colourful street art about hope and resilience has appeared all over the city. Music performances are often held in rotating venues around the city instead of a single opera house or concert hall so more people have a chance to attend." CNN captures the spirit of Christchurch in their recommendation calling the city, its buildings and culture "elegant", "gorgeous", "colourful" and "dynamic". Key locations are The Canterbury Earthquake National Memorial, which stands to commemorate those who lost their lives in the quake, and the Transitional Cathedral - a once temporary cardboard recreation of the heavily-damaged Anglican church that has become a permanent fixture. Maori cooking school and café Kakano gets a special mention too - having once served as a home base for the first responders in the 2011 disaster. According to CNN, Kakano is "a gorgeous centrepiece for a city on the move".